In the meantime, It's game day......So Get Your Game Face On!!!!! 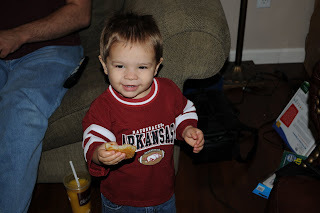 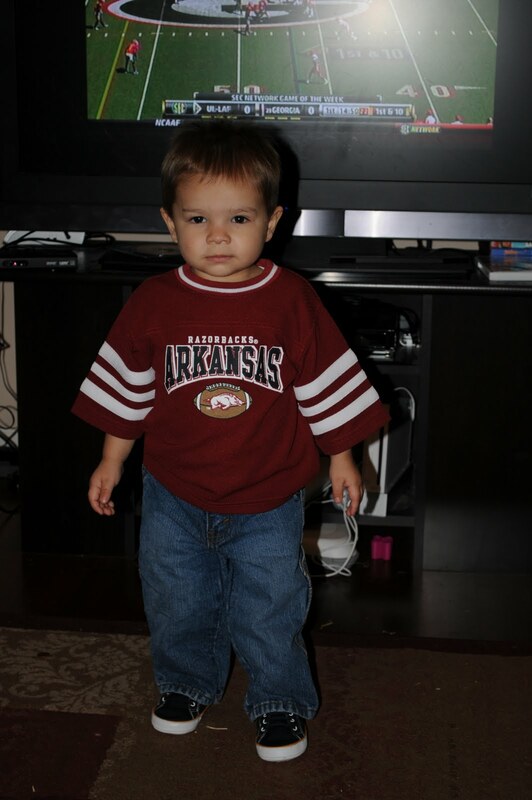 Hayden is ready to call some HOGS! I recently attended a baby shower for my very best child hood friend. 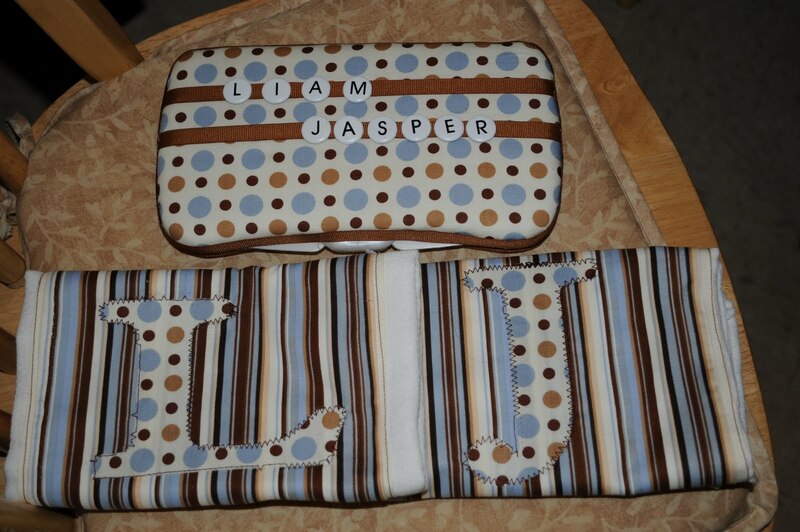 We don't see each other much, so I was really excited to attend her baby shower, for TWINS!!!! 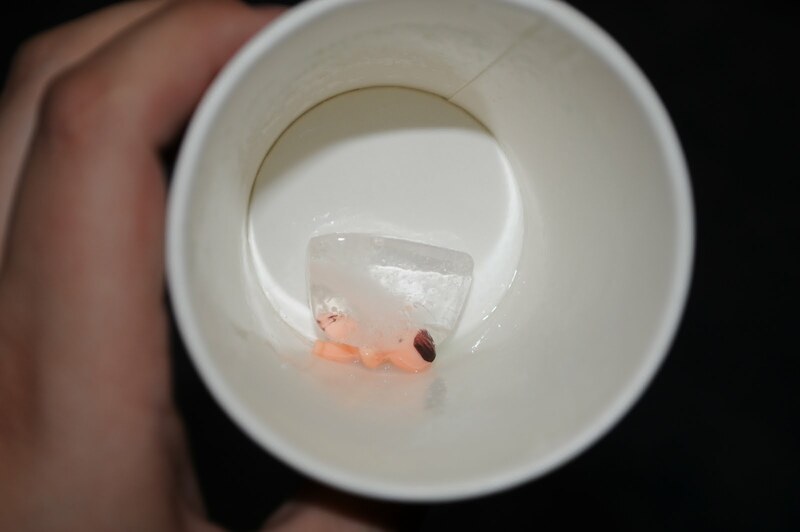 My good friend Robin will appreciate this if no one else does:) These tiny plastic babies were frozed in the ice cubes and the first baby to be "born" won the game. I had never seen this before and thought it was so funny. 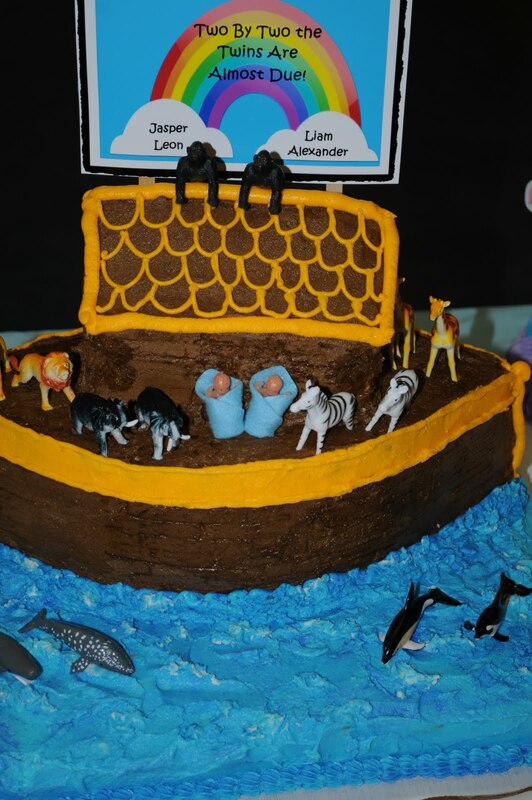 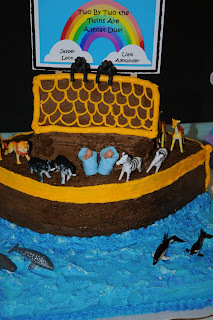 It was a Noah theme and the cake was so cute. 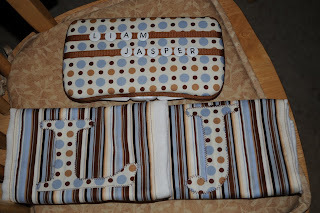 Here is the two burp cloths I made with initial J and L for Jasper and Liam, and their names on the coordinating wipe case. 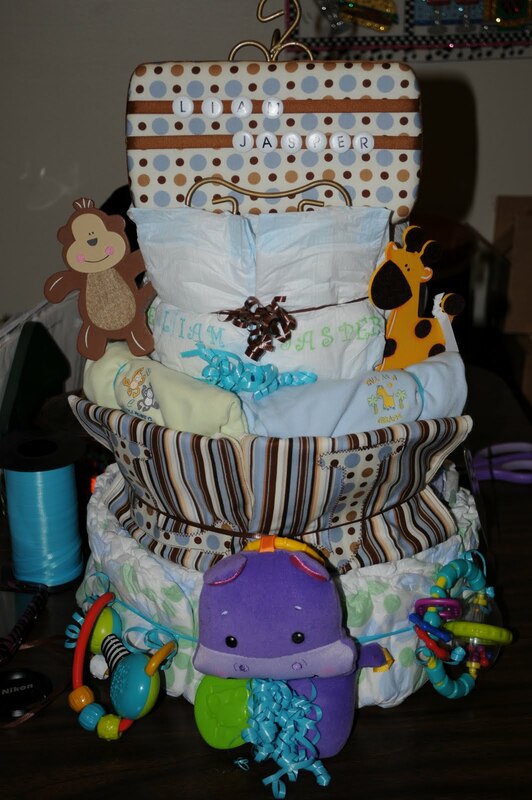 I added them to the diaper cake I made for her. 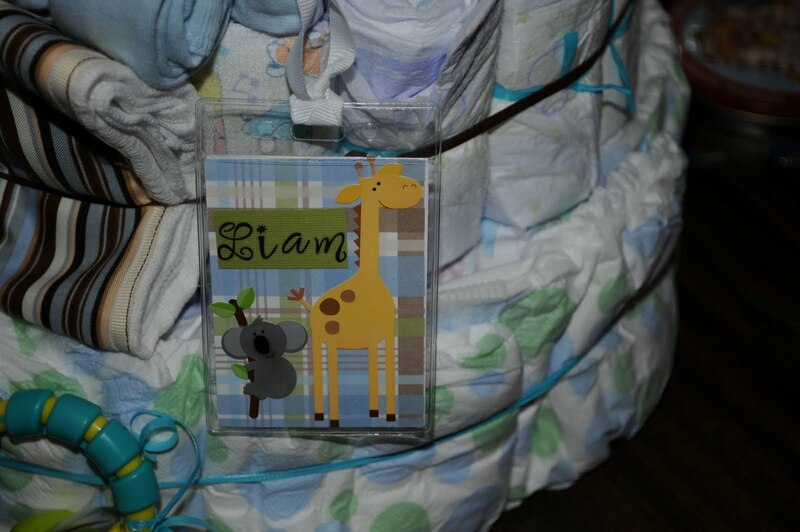 I thought it turned out so cute. If you look really close you can see that I stamped their names on the diapers across the top. 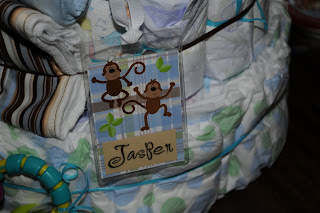 And their diaper bag tag. Can't wait to met these two.